Matthew McConaughey’s name has become synonymous with a certain … vibe. Insanely laid back and effortlessly cool, he’s the kind of guy you’d want to share a couple of beers with on a beach. With that in mind, his role in THE BEACH BUM might be the most McConaughey thing McConaughey has ever done. Directed by Harmony Korine, whose last feature was SPRING BREAKERS, the movie is the ideal material for McConaughey. But calling it a “stoner comedy” might be an oversimplification. 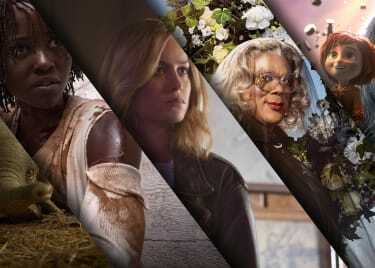 Here’s what makes this particular comedy so unique. THE BEACH BUM takes place in Florida — Miami and the Florida Keys, to be exact. It’s a naturally wild setting for a slacker named Moondog (McConaughey) and his hilarious misadventures. Moondog is a long-haired, rebellious stoner who lives by his own rules. Ignoring the responsibilities (and fashion sense) imposed on him by society, Moondog drifts down his own path, which usually takes him into the orbit of like-minded outcasts fueled by various illicit substances. Don’t underestimate Moondog, though: He’s also a beloved poet who’s struggling to finish his next novel. Given the people (and things) he associates with, however, you can see why Moondog might be a little distracted. Can he write that book and/or stay out of jail? Moondog’s world is populated by a variety of outcasts, slackers and weirdos, starting with Snoop Dogg as Lingerie. The iconic rapper, prolific pothead and friend of Martha Stewart is just one of many delightful characters played by familiar faces. Zac Efron (above) plays the fantastically coiffed Flicker. Jonah Hill, whose career has turned toward serious material in recent years, returns to his stoner comedy roots as Lewis. Comedian Martin Lawrence plays a boat captain named Captain Wack, who has a parrot that’s fond of a certain powdered substance. Bringing this strange brew together is the man behind the camera: Harmony Korine, who first made his mark on the independent scene as the screenwriter of the 1995 cult classic KIDS. Two years later, Korine made his directorial debut with GUMMO, a movie about the various residents of a small Ohio town and the weird things they do to kill time. Since then, Korine has directed notable indies like JULIEN DONKEY-BOY and TRASH HUMPERS and worked with artists like Cat Power, Rihanna and the famous illusionist David Blaine. It wasn’t until 2012 — and 17 years into his career — that Korine broke into the mainstream with SPRING BREAKERS. Starring Vanessa Hudgens, Selena Gomez and James Franco, the film followed four college girls who rob a local restaurant to pay for their spring break adventure. 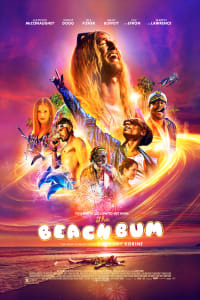 THE BEACH BUM isn’t just a unique comedy — it’s also a unique film for Korine, whose stories are typically a bit darker and more unpleasant than this. We’ll see just how different it is when THE BEACH BUM washes ashore in March. THE BEACH BUM comes to AMC® on March 22.